You can choose the right molding, mount, or finish to complement any object: paintings, mirrors, textiles and more. "A DIY manual for making custom frames. Traditional and contemporary techniques are presented, along with a variety of finishing techniques. 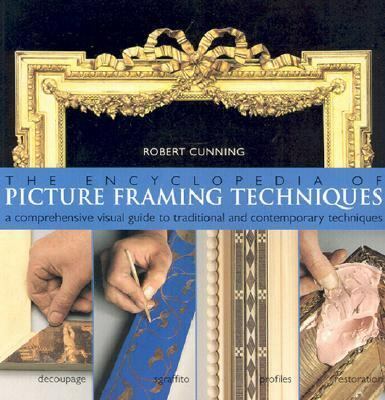 "Woodshop News.Cunning, Robert is the author of 'Encyclopedia of Picture Framing Techniques A Comprehensive Visual Guide to Traditional and Contemporary Techniques' with ISBN 9780806993027 and ISBN 0806993022.